Surgeons interested in expanding their alternatives in pursuing minimally invasive options need to be attuned to new tools coming into the marketplace. One of the most intriguing devices is the DiLumen Endolumenal Interventional Platform (EIP), manufactured by Lumendi. 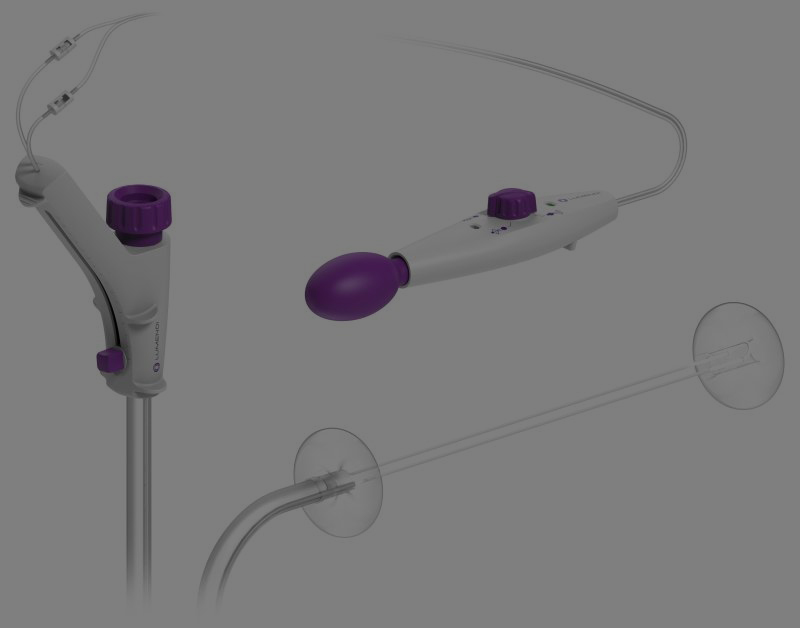 The DiLumen EIP is comprised of a single-use, soft-flexible sheath that is placed over standard and small-diameter colonoscopes. It is equipped with two balloons that can be inflated to create a more stable workspace for endoscopists, including gastroenterologists and surgeons. 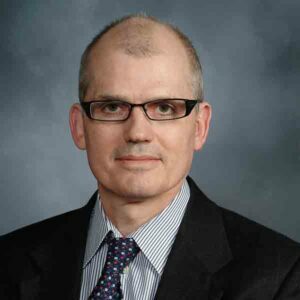 To learn more, Surgical Products interviewed Jeffrey Milsom, MD, FACS, the chief of colon and rectal surgery at New York-Presbyterian/Weill Cornell Medical Center and the primary inventor of the DiLumen EIP. What can you tell us about the DiLumen EIP? The DiLumen EIP is a device that you attach to an endoscope, any current commercially-available endoscope. It is designed to create a working zone, to create a surgical platform inside the channel of the intestine. In the product specifications that are submitted to the FDA, the indications are to improve stabilization and visualization inside the intestine. What this does then is open up a lot of possibilities for performing more precise actions on the inside of the intestine in treating diseases. What specific needs in the surgical space were you trying to address in creating the DiLumen? Necessity is the mother of invention. There are a lot of intestinal diseases that could be treated more safely, and with less expense, if they could be treated from inside the intestine. This is potentially a “game changer” or paradigm shift in intestinal disease therapy, which could lower healthcare costs and lead to better patient outcomes. The initial indication for the DiLumen’s use — what it’s being used for now — is to treat large benign polyps that are growing inside the intestine that aren’t treatable with conventional endoscopic methods we have today. When they’re not treatable by endoscopic means, gastroenterologists typically send the patient in for surgery. And we don’t want to operate on people if they can have an endoscopic procedure done instead. That was the impetus: How do we create an environment inside the intestine that allows us to do more complex things and do them safely? Once you identified the specific clinical needs the DiLumen should address, what was the development process like? I’m a colorectal surgeon. I’m engaged in a busy practice here in New York, so I simply examined what I needed to do to go inside the intestine with a scope and make it so that scope sits still, allowing me to focus on a particular area. I wanted to see things better and have a stable approach to treating certain diseases from the inside of the intestine. I’ll use the example of a large polyp. Currently when you put endoscopes inside the body, the only way you can get from point A to point B to point C is by pushing the scope, and it has to slide. So an endoscope slides, and meanwhile all the normal body processes affecting the intestinal tract — like contractions of the intestinal wall and the patient’s breathing — affects all the organs inside the abdomen. Everything moves and shifts. Trying to do a procedure inside the intestine is like sitting in a rowboat and working on something over the side of the boat when there are waves coming in. That’s not conducive to doing anything that is complex. If a polyp is around a fold or around a bend in the intestine, there are many factors that can make it that much more difficult to see. Maybe the patient’s an older person and has some breathing difficulties, or some people’s intestines are very, very active and contracting all the time. The DiLumen EIP creates a stabilized zone. There are two balloons — between them is what we call the therapeutic zone, or TZ. You close off the intestine upstream and downstream with the balloons, and the scope is then within the TZ. You have at least one working channel with the scope, and you use air to inflate or distend the intestinal wall, which is what’s done to overcome some of the contractions and to see better. When you blow carbon dioxide gas into the TZ, you’re also inflating only a very short segment between the two balloons, rather than filling the entire intestine. This is more comfortable for the patient. The process also improves your efficiency in seeing things. There’s a certain amount of stiffness and tension that you put in place between the two balloons so you can also straighten out the intestinal wall. If something’s around a curve or behind a fold, you can get rid of that impediment by using the DiLumen. And because those two balloons basically lock the endoscope tip into one spot, the endoscope is not drifting as it often does when you use it without the DiLumen. Say you’re in the middle of trying to remove a tricky polyp. If you can’t see, or if your instruments move because of the patient’s breathing, you have an increased risk of perforation or other complications. With the DiLumen, things are solidly locked in place so your confidence level, and your capability to perform complex actions successfully, increases dramatically. So is the development of the DiLumen EIP a direct result of your personal experience? We identified an unmet need, and married that with a solution based on experience plus a desire to make disease therapies safer and less expensive. All healthcare providers — surgeons, medical doctors, nurses, everyone who treats patients — want to lower healthcare costs. If you can convert a disease’s therapy into a simple, outpatient endoscopic procedure from a former inpatient procedure, there will be tremendous support from all participants in healthcare. I believe these are the types of technologies that have the highest priority in today’s world. Does it help with OR turnover? The clinical data isn’t available yet. The DiLumen EIP was FDA approved about a year ago, and clinical use of it began two to three months ago, so we don’t have extensive clinical numbers yet. But based on some of the work we’ve done thus far, the potential for procedure efficiency is dramatic. The time to complete procedures — such as endoscopic submucosal dissection or endoscopic mucosal resection for large polyps — in our preclinical studies has gone dramatically down, meaning from hours to minutes. Some of these procedures take two to four hours in patients. We’ve shown in the lab we can reduce that to usually minutes, 20-30 minutes. I believe the clinical data will back that up. How do you see the DiLumen EIP being used as we move forward? It has wide adaptability. Currently it’s only made for use with lower endoscopy, but it’s going to have wide adaptability for upper and lower endoscopy. And there’s a pipeline of products under development for things like additional tool channels that will greatly increase the capability of the device. Its use could span the entire range of clinical intestinal problems including early cancers, bleeding lesions, perforations, strictures, fistulas and even some diseases like diverticulitis. We are just beginning this new era of endolumenal intervention. The DiLumen EIP, and subsequent platform products, could facilitate it.